An injury in its own right can produce a lot of questions. Will you be okay? How long will it take to heal? How much will your recovery cost? No doubt as you pursue an injury claim, you’ll have even more concerns and questions. However, that’s where we come in. Come see how our extensive knowledge and dedication to helping our clients can help answer all of your legal questions…and then some. Are truck accident cases the same as car accident cases? Causes. Semis, big-rigs, 18-wheelers, tractor-trailers, and other large commercial trucks handle differently than smaller, lighter-weight passenger vehicles. Common factors in truck crash causes can include sizable “no-zone” blind spots, issues with maneuverability, and improperly loaded cargo. Regulations. In addition to the traffic laws which govern all Delaware motorists, commercial truck drivers are also subject to Federal Motor Carrier Safety Administration (FMCSA) regulations, which limit the length and frequency of shifts, mandate rest periods, and outline maintenance and inspection requirements and logbook practices. Damages. 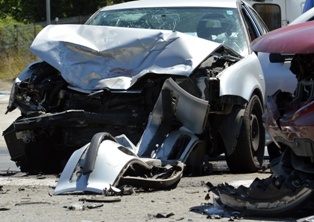 Injuries, property damages, medical expenses—and subsequent financial recoveries—tend to be greater in truck crash cases than in car accident cases involving two passenger vehicles. Liable parties. In car crash cases, the at-fault party is often the other driver. However, truck accident cases may involve multiple defendants, such as the commercial truck driver, the trucking company they drive for, or even the manufacturers of faulty truck parts and components. A knowledgeable truck accident attorney can help victims determine the parties to name as defendants in their personal injury lawsuit. If you were hurt in a Delaware truck accident caused by a commercial truck driver, trucking company, or other party's negligence, you may be entitled to substantial compensation for medical expenses, lost wages, pain and suffering, and more. The skilled attorneys with the Morris James Personal Injury Group can help you understand—and overcome—the challenges you're likely to face when seeking compensation. Contact us today to schedule an appointment for a free initial consultation. Is it possible to make a financial recovery for pain and suffering in a Delaware wrongful death case? While wrongful death claims address losses surviving family members incurred as a result of their loved one's death, they don't address the losses the victim incurred before passing away. Fortunately, Delaware law has a legal mechanism for doing just that: the survival action. Brought by an eligible surviving family member or the representative of the victim's estate, a survival action allows claimants to fight for compensation for their deceased loved one's economic and non-economic damages, including accident-related medical expenses the victim incurred prior to death, property damage repair or replacement costs, lost wages, pain and suffering, and more. Losing someone you love because of another person's negligence can be absolutely devastating. While the compensation obtained via a survival action or wrongful death claim can never fill the hole their death left in your life, it can ensure that the at-fault party is held financially accountable and give you the support your beloved family member would have wanted. 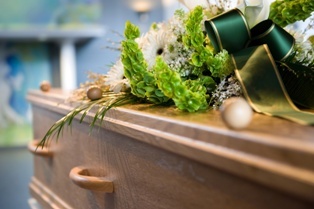 Do you have questions about filing a survival action or wrongful death claim in Delaware? The skilled attorneys with the Morris James Personal Injury Group can help you understand your legal rights and options for compensation. If collecting a financial award for your family member's pain and suffering is important to you, our attorneys can advise you on how to build a strong survival action. Contact us today to schedule an appointment for a complimentary, no-obligation initial case consultation. What should I keep in my vehicle in case I'm in an accident? Most people don't expect to be involved in an auto accident while going about their daily business, despite the fact that car crashes are far from rare. In fact, more than 37,000 people are killed—and an additional 2.35 million are injured—in auto accidents each year in the United States, according to the Association for Safe International Road Travel (ASIRT). First aid kit. The kit should be stocked with antiseptic, gauze, bandages, and other essentials. Auto escape tool. These tools allow trapped motorists to escape from submerged vehicles by slicing through locked seat belts and breaking the automotive glass with a specially designed hammer. Flashlight. Keep extra batteries with the flashlight or, to eliminate the need for batteries, choose a wind-up flashlight. Road flares or emergency triangles. 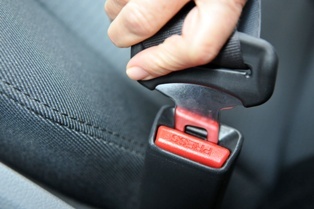 Having an accident at night can be dangerous—for accident victims and other motorists. 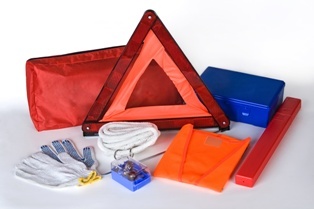 Setting these items up at the scene of the accident can help make it more visible to other motorists. List of emergency contacts. Keep a handwritten or typed list of emergency contacts in the glove box, so that they can be accessed, even if a smartphone is broken or has a dead battery. Blanket and towel. These items can help motorists stay warm after a cold-weather wreck or be soaked in water and used to put out an automotive fire. Fire extinguisher. Also essential for putting out automotive fires. Multi-tool. Pliers, screwdrivers, pocketknives, and other included tools may be useful in an emergency. Notepad and pen. These items are perfect for taking notes about the accident, as well as writing down contact and insurance information for other drivers, and contact information for passengers and witnesses. Disposable camera. This is a crucial item to have on hand, just in case a smartphone is broken or dead. Food and water. A jug of clean water and non-perishable snacks like crackers, cookies, dried fruit, protein bars, and more can help wrecked motorists stave off hunger until they're found. 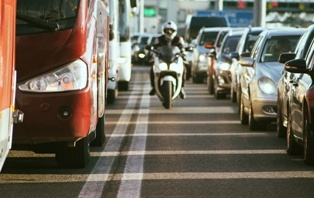 Were you injured in a car accident caused by someone else's negligence? The knowledgeable attorneys with the Morris James Personal Injury Group can help you explore your legal rights and options. Contact us today to schedule an appointment for a free initial review of your case. How do I obtain a car accident police report in Delaware? Though police accident reports aren't admissible in court for the purpose of proving negligence, they can still provide crash victims—and their personal injury attorneys—with valuable information. Unfortunately, in Delaware, people involved in car accidents don't automatically receive a copy of the police report. They can, however, request a copy of the police report from the law enforcement agency that responded to the accident. To obtain a copy of an accident report from the Delaware State Police, crash victims must send a request to Delaware State Police, Traffic Operations Section, P.O. Box 430, Dover, DE 19903, along with a copy of the Collision Information Exchange form given to them by the investigating officer. 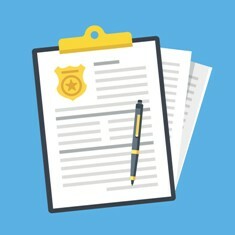 The fee—which must accompany the request for the police accident report—is $25 for a standard collision report or $60 for a fatal collision report. Accident victims with questions about obtaining a report can call 302-739-5931 between the hours of 8 a.m. and 4 p.m., Monday through Friday. The process to obtain an accident report from municipal police departments is similar, though the exact details vary. Call the specific law enforcement agency that responded to the accident for additional information. If you were injured in a car accident caused by someone else's negligence, you may be entitled to compensation. The knowledgeable car accident attorneys with the Morris James Personal Injury Group can help you understand your rights and options. Contact us today to schedule an appointment for a no-cost, no-obligation consultation. More than 4.1 million workers sustain serious work-related injuries each year in the United States, according to the U.S. Department of Labor's Occupational Safety and Health Administration (OSHA). After an on-the-job accident, injured workers may face significant physical and financial challenges. Oftentimes, Delaware workers' compensation benefits can help alleviate some of the financial stress associated with a workplace injury. 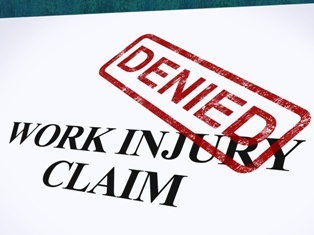 However, injured workers are sometimes hesitant to file a workers' compensation claim, fearing that doing so will jeopardize their employment. Delaware's workers' compensation laws expressly forbid employers from discriminating against or firing an employee simply because they've submitted a claim for workers' compensation benefits, or have testified or plan to testify in a workers' compensation case. While this may sound like good news, injured workers shouldn’t breathe a sigh of relief just yet. 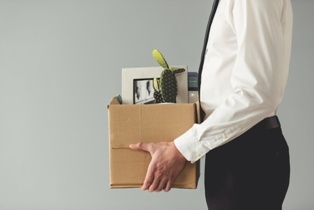 As an at-will employment state, employers in Delaware have the right to fire a worker at any time, for any reason—or even no reason at all—and they aren't even legally required to give the employee notice. Unscrupulous employers can put an injured workers' ability to collect workers' compensation benefits for an on-the-job injury in serious jeopardy. Fortunately, an experienced and knowledgeable Wilmington, DE workers' compensation lawyer can help injured workers protect their rights. If you were injured in a Delaware on-the-job accident, workers' compensation benefits can help cover your medical expenses, lost wages, and more. However, some employers may try to use the “at-will employment” loophole to deny you the benefits you deserve. Don't let this happen to you. Attorneys with the Morris James Personal Injury Group can review your case and help you understand your options. Contact us today to schedule an appointment for a free initial case consultation. What if my car accident was caused by a drowsy driver? Life is busy and, as a result, many are burning the proverbial candle at both ends. Though driving while tired may not seem on par with driving under the influence of drugs or alcohol, research shows it can have the same impairing effects. Drugged, drowsy, and drunk drivers all experience slowed reactions, decreased focus, and impaired judgment and decision- making ability. Drowsy driving is extremely prevalent and, yet, many people remain unaware of the danger it poses. According to research from the National Highway Traffic Safety Administration (NHTSA) and other federal agencies, more than 72,000 accidents involving drowsy drivers were reported to police each year from 2009 to 2013; annually, these crashes injured more than 41,000 people and killed more than 800. In 2013, the Centers for Disease Control and Prevention released an analysis of a Behavioral Risk Factor Surveillance System (BRFSS) telephone survey it conducted in 2009 and 2010. Of the more than 4,100 Delawareans who participated in the survey, more than 100 admitted to having fallen asleep while driving at least once in the past month. Drivers or passengers who were severely injured in an accident caused by a drowsy driver may be entitled to compensation for medical expenses, property damage costs, lost wages, pain and suffering, and more. However, proving that an excessively fatigued driver caused an accident can be challenging, as many drivers may be reluctant to admit that their lack of adequate rest resulted in an accident, injury, or fatality. A knowledgeable personal injury attorney with experience handling motor vehicle accidents knows just what to look for when investigating a drowsy driving crash. Were Your Injuries Caused by a Drowsy Driver? If you were injured in an accident caused by a fatigued driver's negligence, attorneys with the Morris James Personal Injury Group can help you explore your legal rights and options. Contact us today to schedule an appointment for a free initial case analysis.